← Top 14 ways a Dental Virtual Support Specialist will make a difference! Do you feel that way sometimes? Shufflin’ through a spotty schedule and wondering where did Mrs. Smith’s crown appointment go, did anyone follow up on Mr. Jones who was sent out for a root canal 4 months ago and wasn’t it time for Joe Schmoe to be seen here for PM since he alternates with the periodontist? Notes. Chart notes. Clinical notes. Appointment notes. Who likes taking them? Who likes reading them? Not too many people who I know of. Well, except of course me! Detailed notes are extremely beneficial on many different levels in your practice beginning with everyone on your team being on the same page and speaking the same language to protecting yourself, your practice and the patient. I learned long ago from a wonderful dentist that “if it’s not in the notes/chart, it never happened”. I am an advocate for noting everything. Starting with the patient file. I note every patient communication/contact – who I spoke with, what it was about and what the result was. Every patient missed appointment – whether it be a no-show or late cancel, I always record when they called (if) and why the no-show/late cancel. Confirming an appointment? Leave a message? MAKE A NOTE! Insert a dateline and let your team know you left a message on the patients cell asking them to return your call for a confirmation. Left message with husband to have patient call to confirm? Note it. Patient will have to check schedule and call back to confirm? 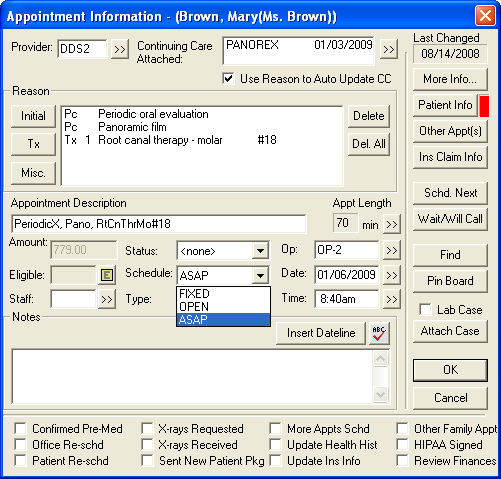 Note it with a RED appointment status to ensure timely follow up – allowing for ample time to fill that appointment opening should the patient need to adjust their appointment. A patient cancel an appointment? Do you just delete it off the books or break it so it gets sent to the quickfill or unscheduled list? If you are breaking it, that is a start – however if you are breaking it with NO NOTES it really is not much of a viable callback for follow up. When you insert a date line with a brief description of who you spoke with, why they cancelled and when you can follow up, it can help ensure the consistent follow up needed to get that patient back on the schedule! AND it allows for anyone and everyone to be aware of the opportunity – and when you are aware of it, you can tap into it! I also put a note on the schedule for 2 weeks out to follow up with the patient. I can ask how their work schedule is going, remind them they gave me permission to f/u and how does next tuesday at 4pm work with their schedule? Notes are an extension of building the connections you need with your patients. Now, lets say a patient cancelled because they are in the hospital, or someone died – if you just delete the appointment, and someone is actively working your recare list (as I hope they are) how on earth do they know the circumstances? What if they call the next week blindly entering that phone call??! NO NOTES is a set up for failure. I note all attempted contacts for recare or undone treatment in the journal. What phone I called, who I might have spoken with and what they said. If follow-up is needed, I note that in the note portion of the scheduler for the appropriate day. 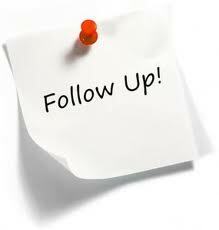 Follow-up is the single most often missed opportunity within your practice and we all know that The Fortune is in the Follow-up!!!! Let’s say someone cancels on the VM, saying they will call back next week to schedule. Whats happens if they DON’T call back? Is someone calling them? How do you know? NOTES and a solid system for consistent follow up of course! Please notate the patients preferred method of communication during the hours of 8-5 and their preferred appointment times. If they say NO CALLS/NO EMAILS – set up an alert to be sure we are honoring the patients request. If they say only call my cell, note it! New patient intake? New patient mentions they are afraid? Want whiter teeth? Might schedule their husband based off of their initial experience? Just came back from a vacation, had their first grandchild? Whatever it is, NOTE it. Then bring it up at their first appointment. It’s all about connections peeps – and the more “know” you have the better you are able to connect. Confirming an appointment? Insert a dateline with a note. Patient calls to reschedule an appointment? Insert a dateline and make a note. Anytime you touch a patients appointment a dateline and notation should be made with your initial. Every. Single. Time. Finances discussed for treatment? MAKE A NOTE! 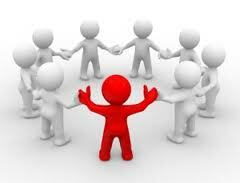 Discuss as a team the most universal place for easiest access by all team members to get to this information quickly! If a patient walks out without scheduling treatment and they only told one person they have to check with their husband on finances and it’s not noted anywhere, what do you think the chances are that you are going to see that patient again before their next recare visit? Now, flip that to bried, yet detailed notes, with a flag to follow up within 5 business days. 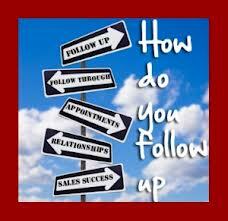 NOW you have the opportunity to follow up with information which gives you a much better chance of scheduling. “Hey Mary, this is MB from Dr. Smith’s office! How are you? Friday when you were in and Dr. Smith recommended that crown on tooth #2 you had said you were going to speak with your husband – I have an opening next Tuesday at 8am – how well does this work for you?” Even if the patient has financial objections, if you are prepared before you make this call with insurance information, payment options available, etc. you have a much higher rate of success. No notes? No follow up? = Scheduling fail. It is so frustrating when you are talking to a patient that spoke to another team member, and there is no record of their conversation anywhere to be found! Yet the patient really thinks you should know what they are talking about. And guess what? YOU SHOULD! Appointment notes – how much should the patient be paying at the time of service (all of the following information should be noted during book review! ), are there any family members that are due for treatment, should we be asking this particular patient for a referral? How much insurance benefit is remaining – might that information increase your chances of getting a patient to schedule? Are they eligible for FL, FMX? Are occlusal guards a covered benefit? WOWZER! I know – a ton of information however you will notice an increase in productivity and a decrease in error, losing patients and missed opportunity immediately. Having universal team knowledge and speaking the same language can support your team in their efforts of providing the best patient care ever! Not to mention, fewer patients get lost in the cracks, treatment becomes easier to discuss and calls become easier to make! Clinical notes that end with the patients next hygiene visit (NHV: 6 mo – pro, bw, ex, fl) and next treatment visit (NTV: 2-3 weeks, crown #2, 1 hour) aid the entire staff in being able to make sure we are getting patients scheduled! There will be no more patients standing at the front desk while the administrative team is trying to track down a clinical person to find out what the patient needs to come back for and when! Dang, that used to drive me batty! Even if the patient declines treatment, why? Note it! When can we follow-up? Note it. Notes are just another step in creating the Perpetual State of Preparedness for your practice. Notes support your whole team in maximizing every opportunity and increase the follow up efforts! Here’s to a party rocker in the house inspiration and motivation for the most fabulous notes ever!! 3 Responses to Everyday I’m shufflin’…..
Great Post! Dentrix’s Office Journal is a nice feature to use for ongoing communications with patients too! Thanks Becky! I also love the office journal – I don’t think it’s used nearly enough!